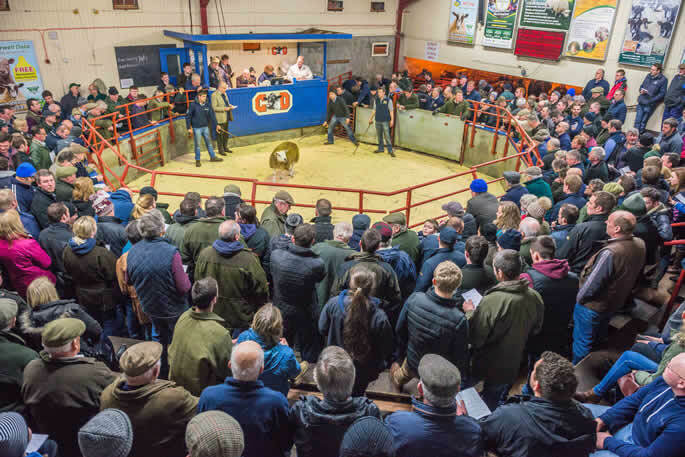 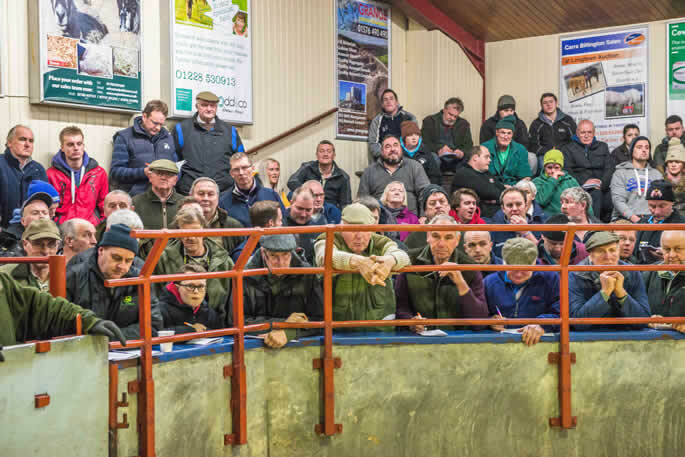 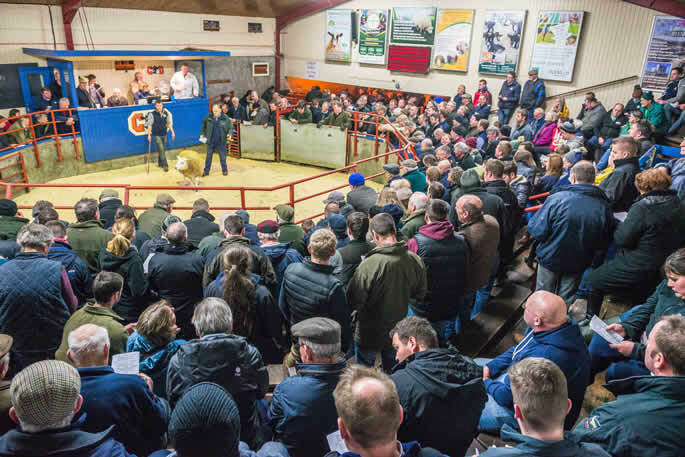 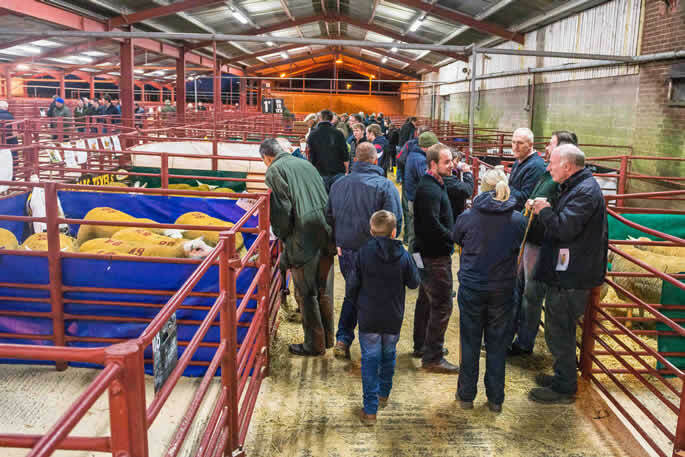 On Tuesday 10th January 2017, C&D Auction Marts Limited, Longtown held their third annual "Longtown Ladies" sale with a catalogue entry of 168 head (115 Texel, 28 Beltex cross & 25 Bluefaced Leicester) which was presented to one of the busiest rings of customers ever seen in Longtown, over 400 people, which was an encouraging sign that the mart is progressing well and continues to be supported and also that special sales attract attention with character lots in strong demand. 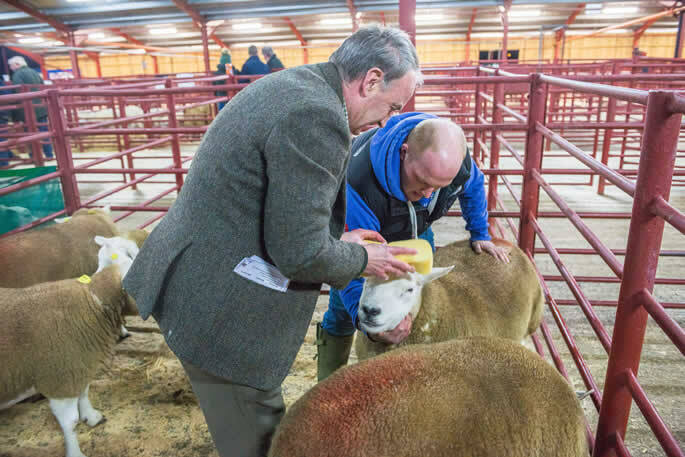 The sale topped at 1,200gns on two separate occasions, firstly for the pre-sale champion, a Texel gimmer from first time consignor Messrs Wilson, Milnbank, Turriff, which sold to Messrs Harrison, Aimshaugh, Alston. 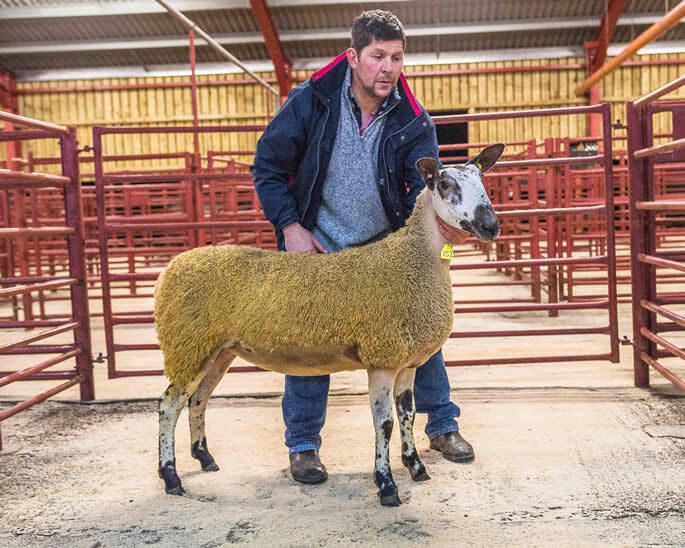 This gimmer by Aman Vyrnwy sold carrying a single to Glenside Wild Boy. 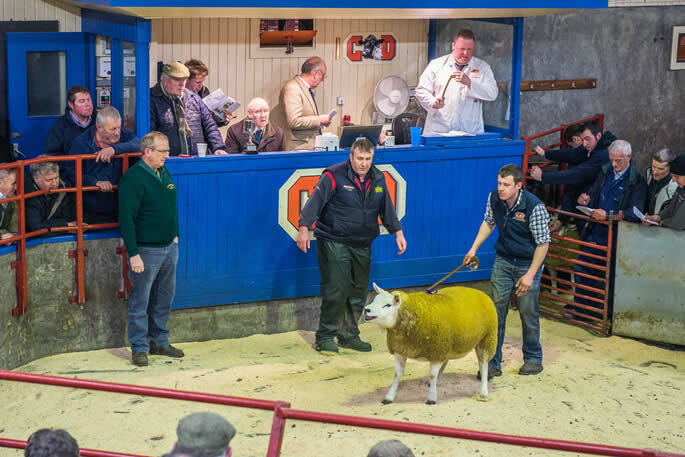 Also realising 1,200gns was the best in the Bluefaced Leicester section from regular supporters Messrs Wight, Midlock, Crawford, this daughter of E1 Hewgill sold carrying a pair to G2 Marriforth going home with Messrs Bell, Borthwick Brae Hawick. 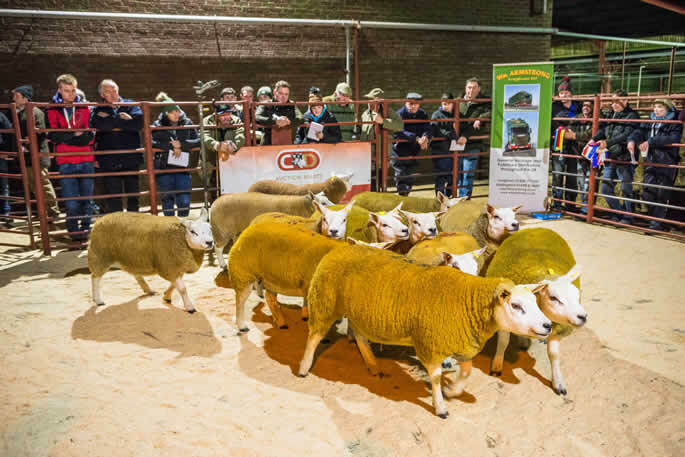 The pre-sale show for pedigree Texel ewes and gimmers was kindly sponsored by Wm. 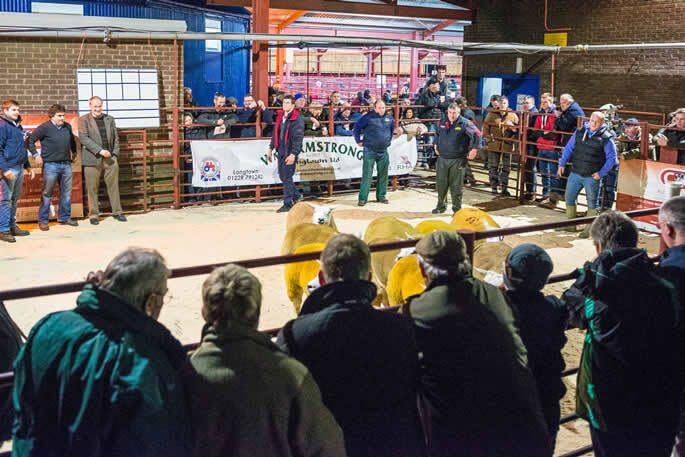 Armstrong Longtown Ltd and ably judged by Mr George Wilkinson, Arkleby who awarded the Championship and the H.G. 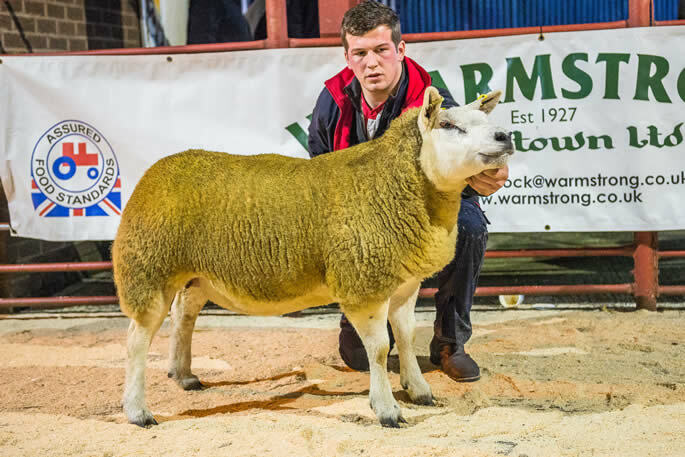 & I. Woodmass Trophy to the above mentioned gimmer from Milnbank. 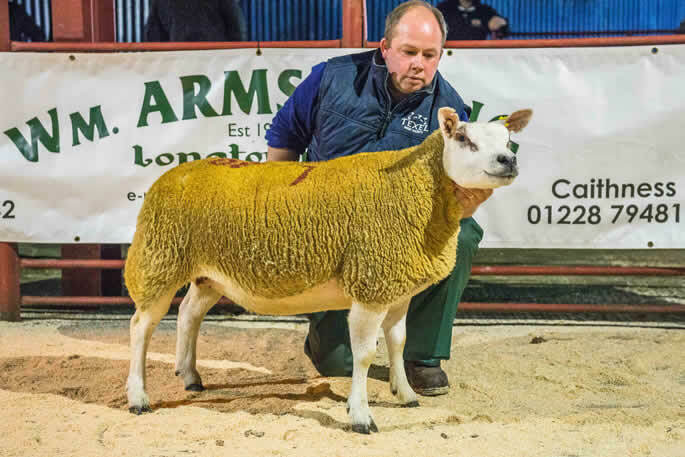 Reserve Champion was awarded to the ewe from Messrs Barrow, Greenwood which sold for 320gns carrying triplets to Tita Yogi Bear selling to Messrs Brownrigg, Castle Sowerby, Hesket Newmarket. 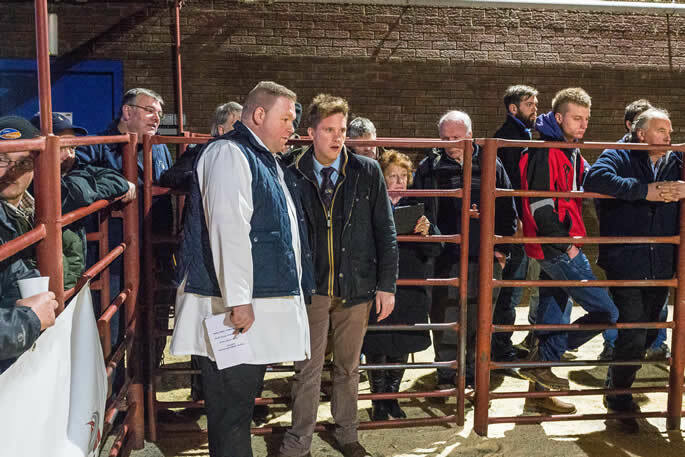 Next 1,150gns came the number one from Procters Farm by Scrogtonhead U Stoater, she sold carrying a pair to Strathbogie Ya Belter and was purchased by Messrs Guiry, Town Farm, Alnwick. 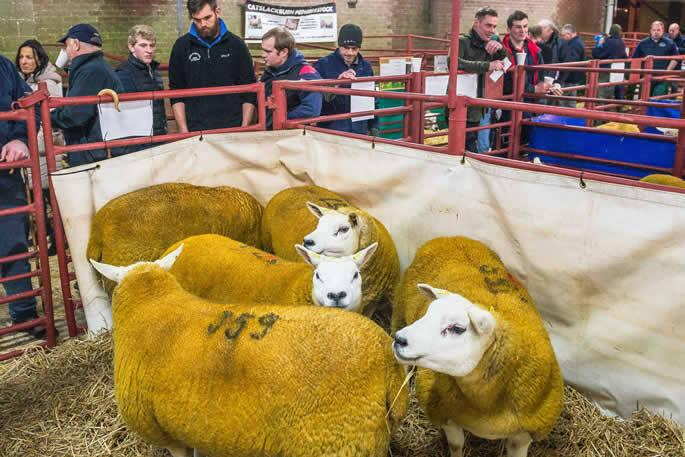 Then at 1,100gns Messrs Pyman, Thacka sold a Haddo Vanguard daughter carrying a pair to Kaker Mill Velvet and found a new home with Messrs Bisset, Middle Dukesfield, Hexham. 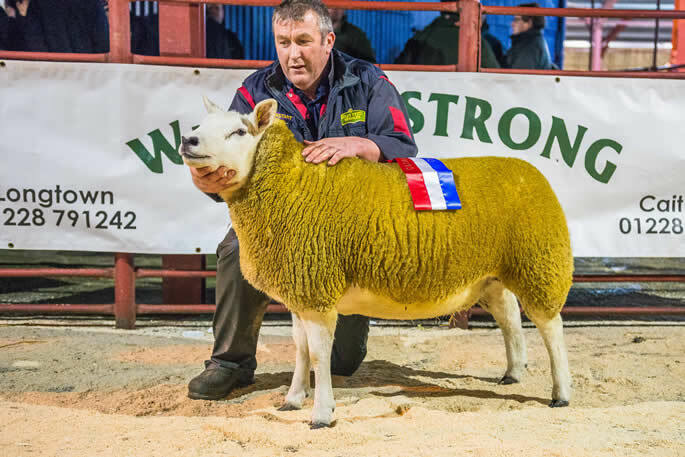 Messrs Wilson, Milnbank then sold two at the 1,000gns mark, both by Aman Vyrnwy, the first carrying a pair sold to Messrs Dow, Dovecot Farm, West Linton and the other with triplets to Glenside Wild Boy selling to Messrs Wilkinson, Arkle. 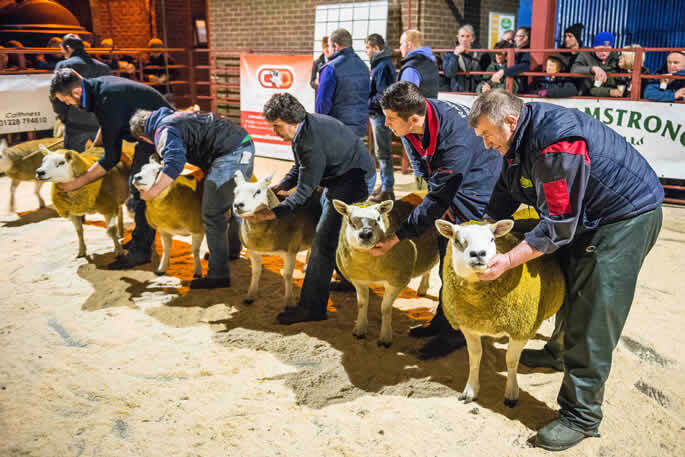 Two also realised the 950gns mark, firstly from Messrs Pyman, Thacka, a Haddo Vanguard daughter sold carrying twins to Kaker Mill Velvet and selling to Messrs Wilkinson, Arkle, then the first from Archie Hamilton’s Smyllum flock, a Sportsman Unimog daughter sold carrying a single to Sportsman Young Yin which headed home to the Milnbank flock with Robbie Wilson. 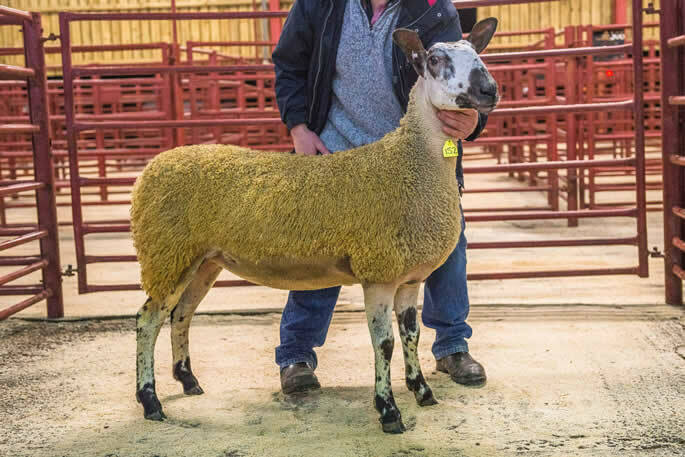 Next at 920gns the Smyllum flocks third entry, a Cambwell Trademark daughter sold carrying a pair to Springwell Wexford finding a new home with Messrs Illingworth, Howgillside. 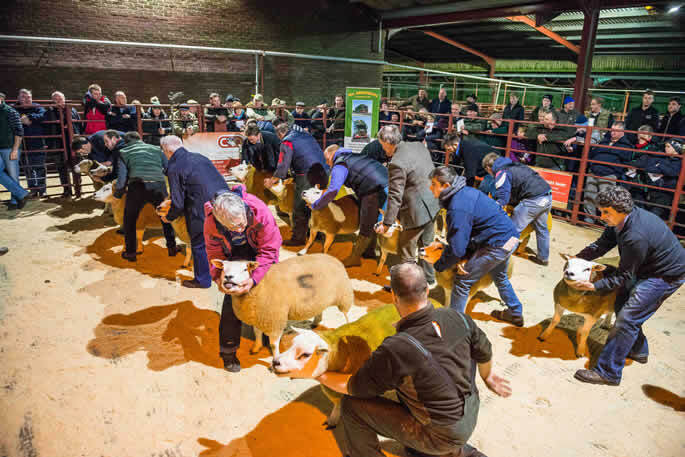 800gns Procters to Messrs Byas, Middledale, Kilham. 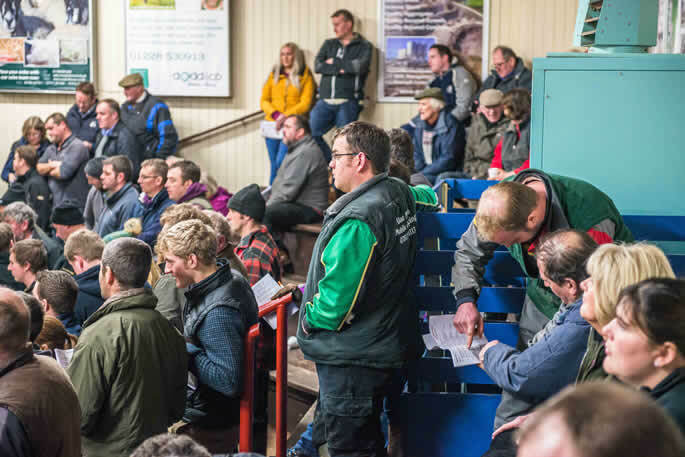 800gns Annan to Messrs Aitken, Jenny Mill Stables. 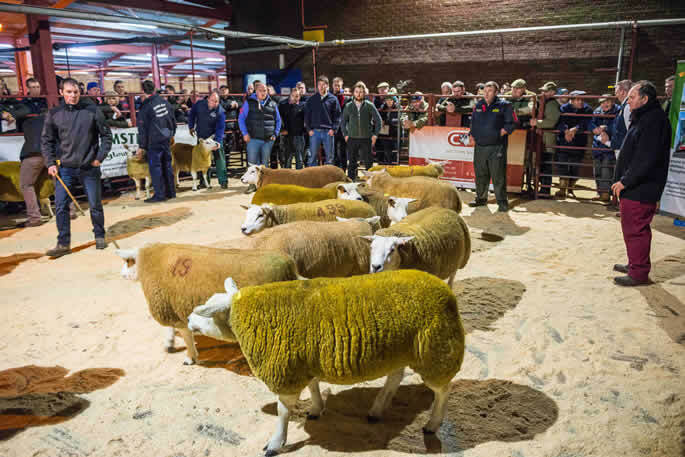 780gns Procters to Messrs Rowlands, Berthbbu, Transffyndd. 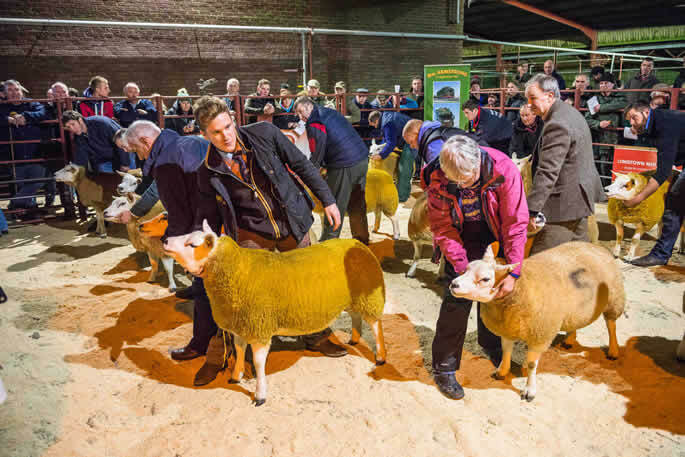 720gns Procters to Messrs Lyth, Mount Pleasant, Leal Holm. 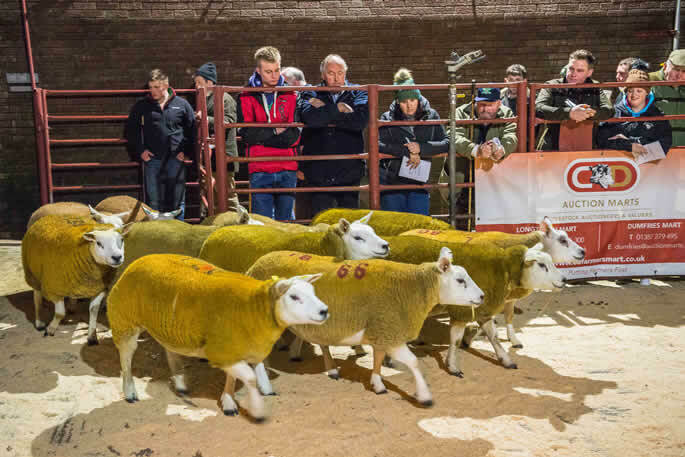 700gns Milnbank to Messrs Byas, Middledale. 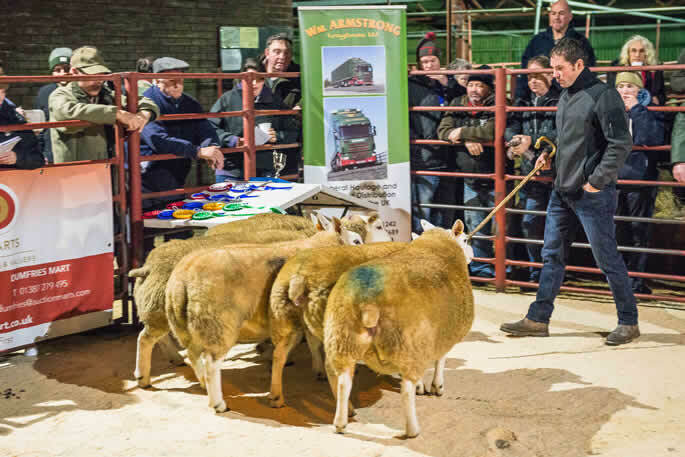 680gns Procters to Messrs Oliver, Eslington High Hill. 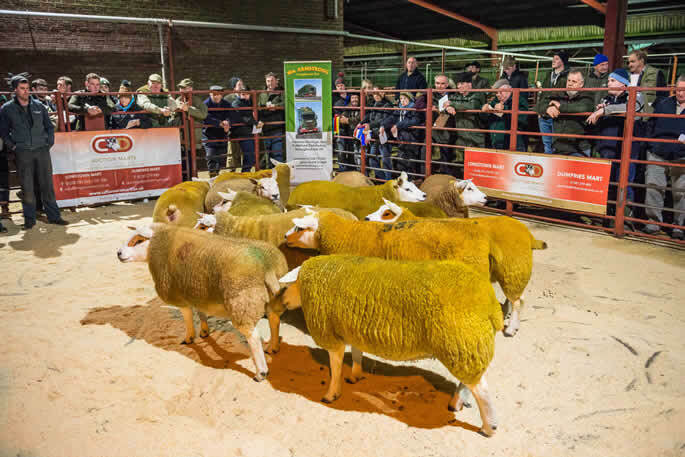 680gns Milnbank to Messrs Watson, Dorryfield. 650gns Milnbank to Messrs McKerrow, Grougfoot. 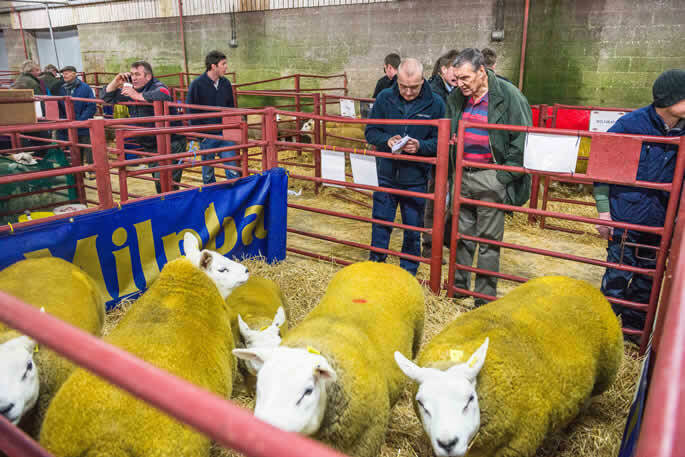 620gns Milnbank to Messrs Byas, Middledale. 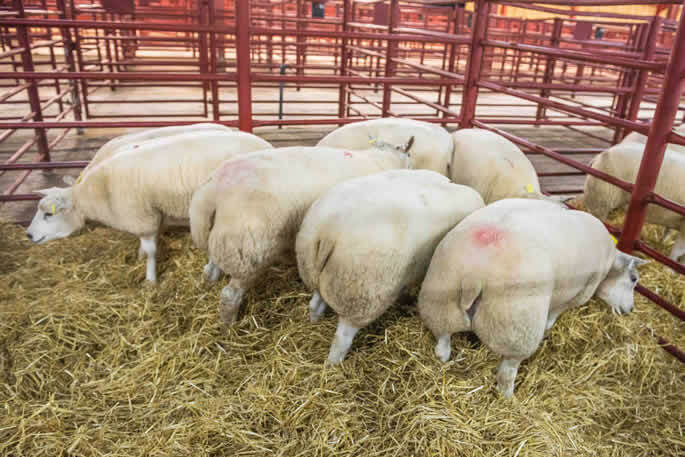 600gns Blackhouse to H.G. 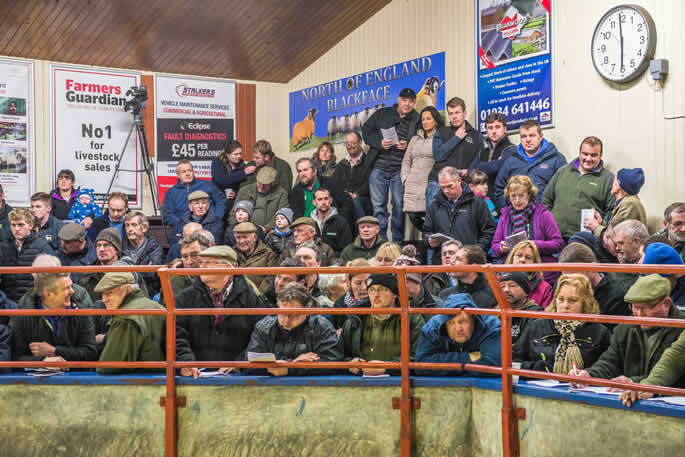 Woodmass, Harene. 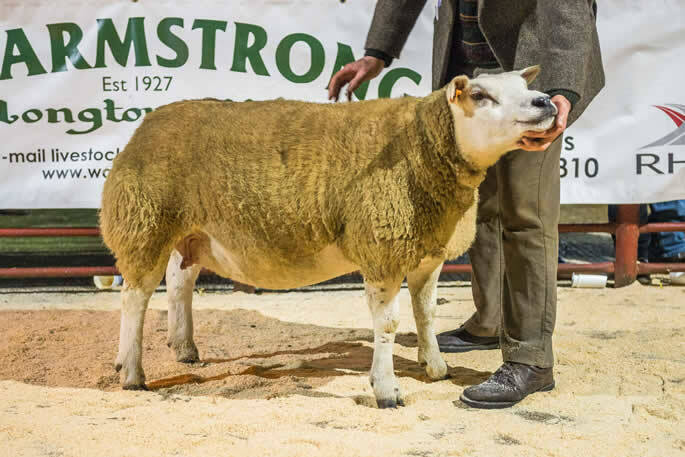 600gns Milnbank to Messrs McKerrow, Grougfoot. 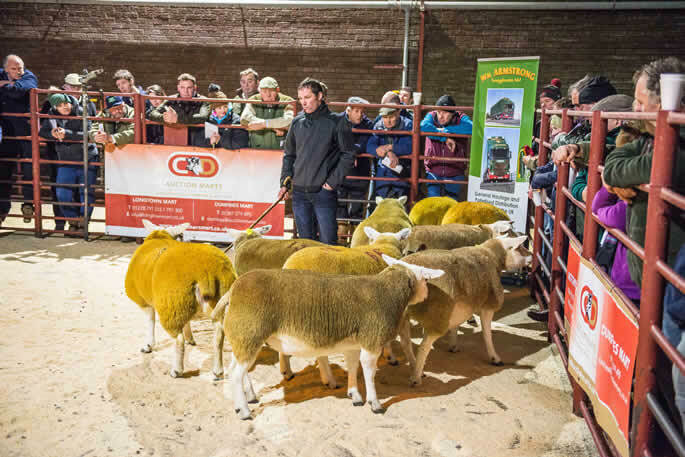 Continental females sold to a top of 500gns for a Texel x Beltex from Messrs Retson, Maidencots selling to Messrs W. Linton & Azalia. 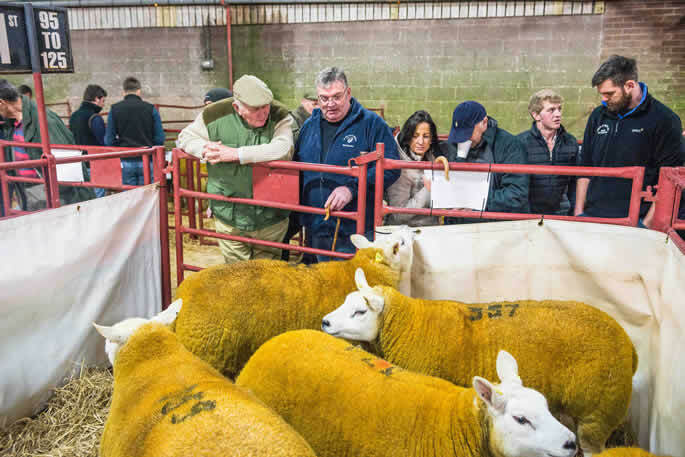 Next at 450gns came for a Beltex x Texel from Messrs Aitken, Uppercleuch, selling to Messrs Anderson, Barnakill, Lochgilphead. 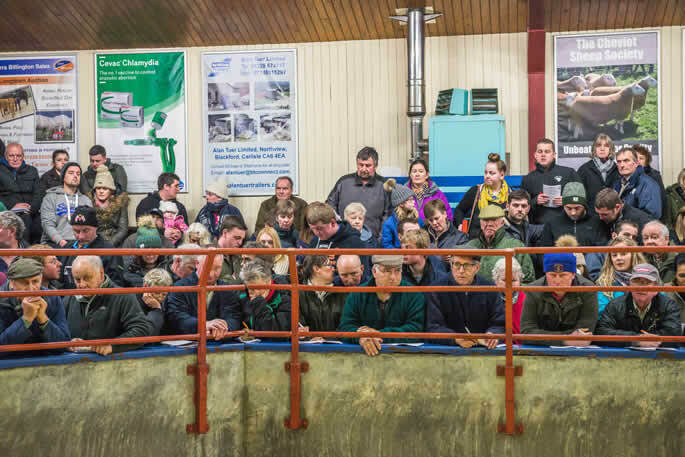 400gns (x2) Maidencots, 350gns (x2) Dormansteads, 350gns Uppercleuch. 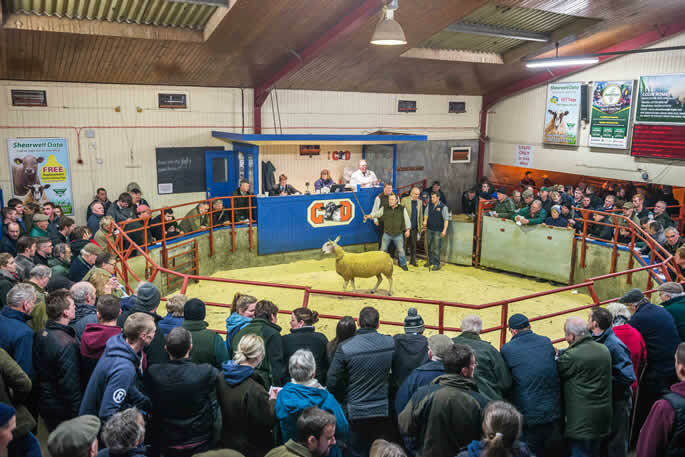 Also included was the annual sale of Bluefaced Leicester in lamb females and geld ewe hoggs. 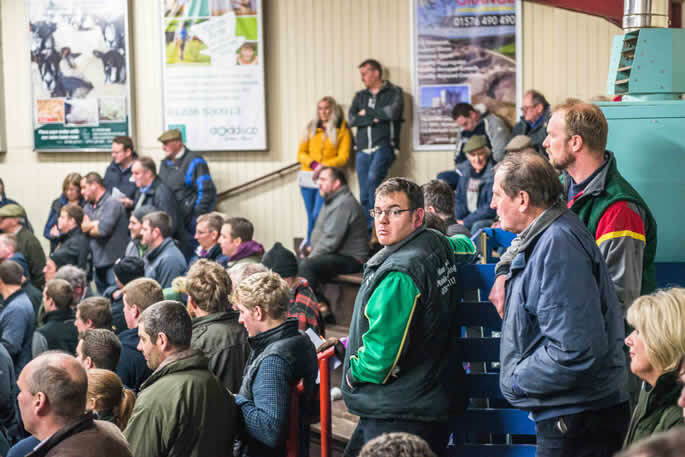 Some quality lots were forward with Midlock leading the way at 1,200gns as reported earlier. 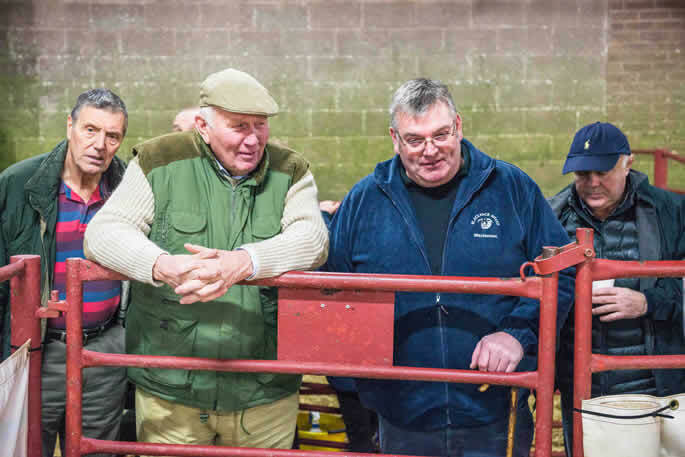 Then at 1,000gns Messrs Thornborrow, Easter Dawyck sold their first a G42 Midlock daughter carrying triplets to the 6,000gns J22 Hewgill and finding a new home with Messrs Fallows, Burnton, New Cumnock. 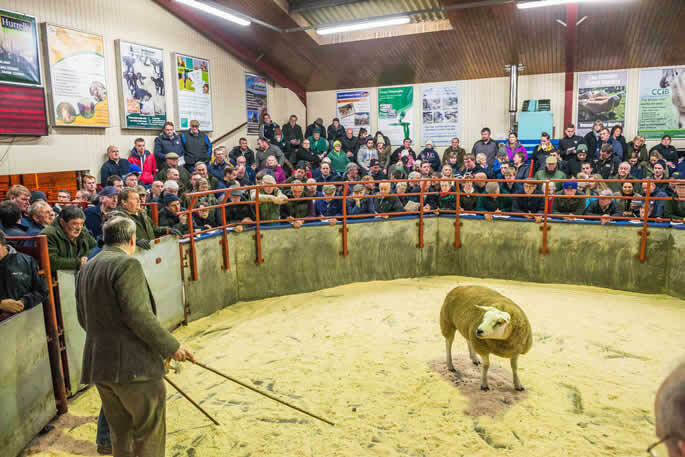 The same buyer went to 900gns for the second Easter Dawyck gimmer a G21 Nunscleugh daughter sold carrying twins to the J22 Hewgill. 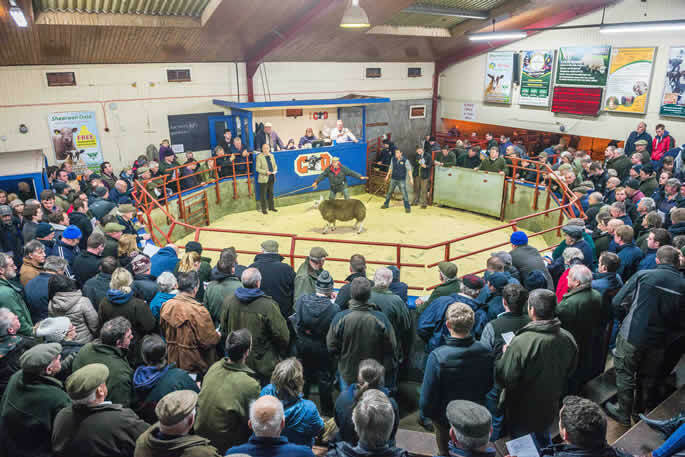 Keeping the good run going the third from the Thornborrow’s by the G42 Midlock sold again with the twins to J22 Hewgill to Messrs Hodgson, Hill House, Bishop Auckland. 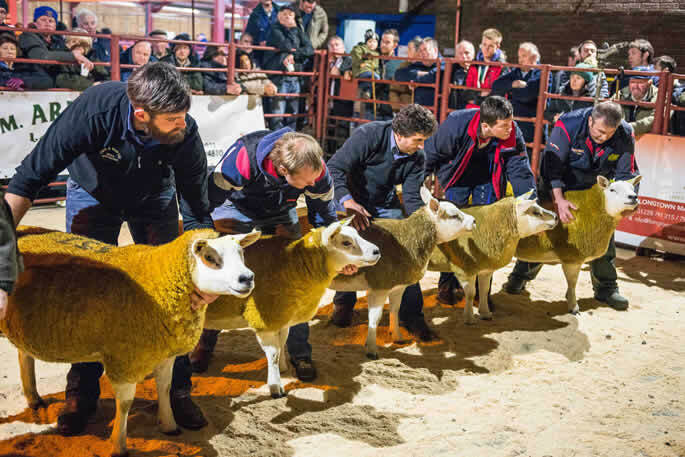 Midlocks second made 600gns, and E1 Bull & Cave carrying triplets to J21 Midlock Bronco also to Messrs Hodgson, and their third realised 520gns being a daughter of G3 Midlock G-Mac carrying a single to G2 Marriforth and also heading home with Messrs Hodgson. 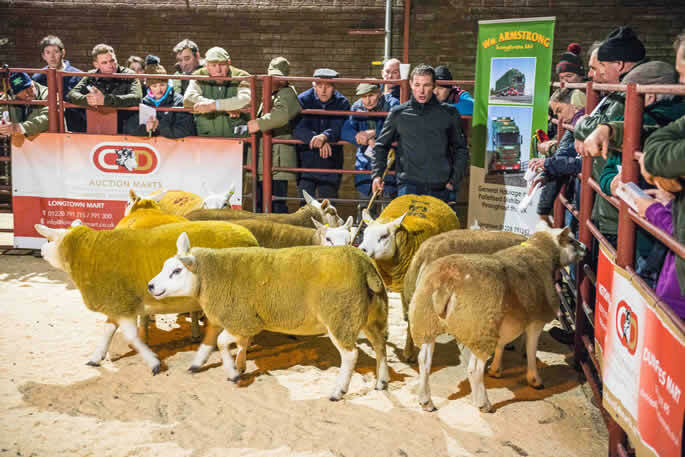 Ewes hoggs to 400gns from Roachburn, 300gns (x2) Easter Dawyck.